I'm joining Carole for Three on Thursday with three very random things. 1. I miss my car. Sarah gave me toy replica for Christmas and I enjoy procrastinating playing with it. It's the kind that flies forward after you roll it backwards a little ways. But it's not the same as driving the real thing. I'm happy that I have my MIL's van to drive while Mike works on my bug but... It's a mini van. No matter how nice it drives and how space-aged it is inside, it's a mini van. 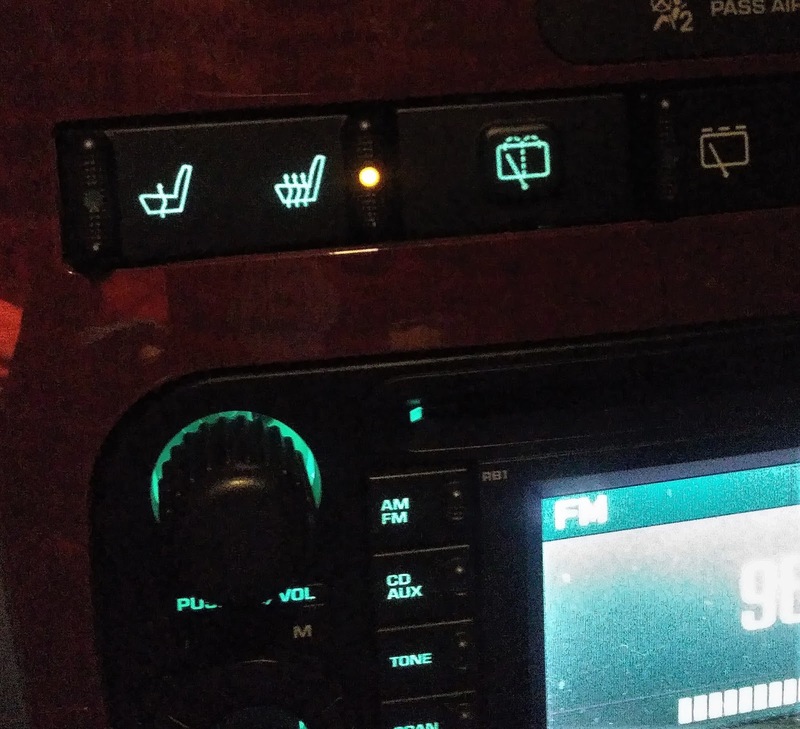 I'll admit though, the heated seats are sweet. 2. Sarah introduced me to the Spotless series written by Camillia Monk and I'm loving it! I'm almost half way through the third book and I only started reading the series about a week ago. The books contain the perfect amount of innocent sexiness and dramatic and sometimes scary comedy. Just when the story takes a dark turn and you think it's about to get too violent to stomach reading more, something ridiculous happens and you find yourself laughing out loud while sitting alone in a coffee shop. 3. I'm back to knitting on my mitered square blanket. My goal is to finish knitting it by the end of February. 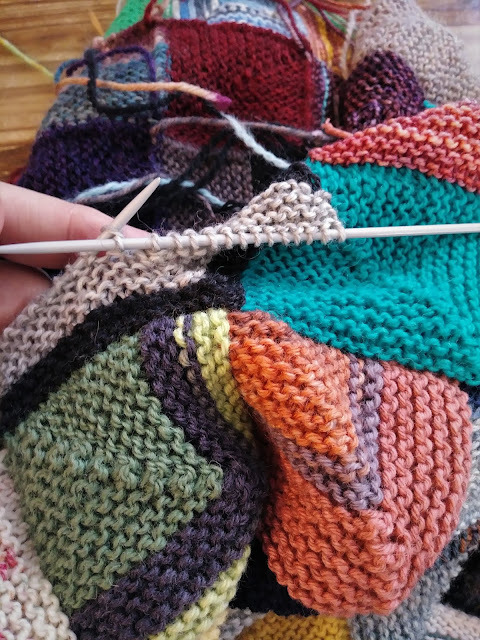 It's only been on the needles since sometime in 2015! I have 54 squares to go so if I average two a day, it will be done. Of course it will still need a border... but that's a goal for another day. It's good to have goals . . . and books you enjoy. Hope your car is back soon (although heated seats are such a treat). I'm the same way with my Mini that is now without tags in the driveway because I couldn't part with her. 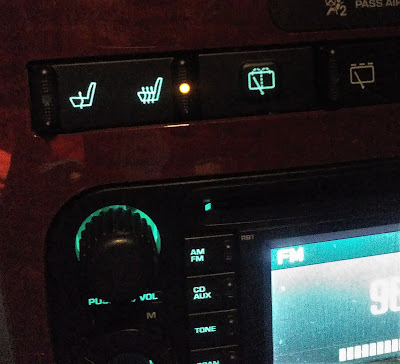 I do like The Mister's heated seats and other doodads so it's not much of a hardship not to have my own car. Your blanket reminds me I have 2 to finish. 1 just needs squares sewn together, halfway done even. The other needs 4 more squares knit, 12" squares. I have set my February goal to finish the 2nd blanket, even though the first would be done quicker! I am stupid that way. 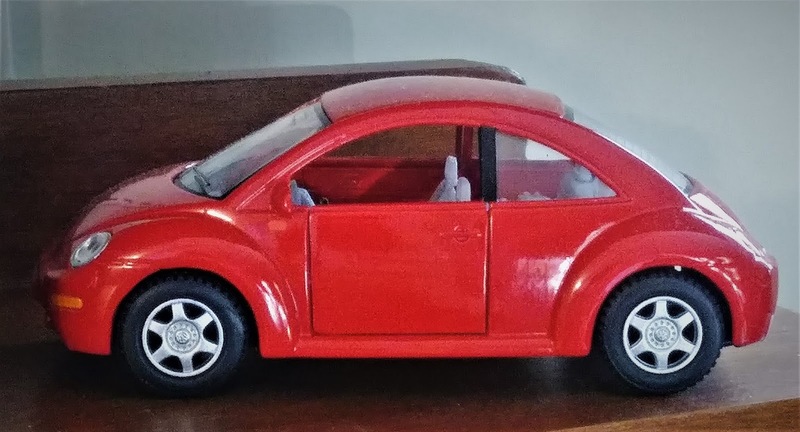 I love that you drive a Bug! That has been my dream car for YEARS and even my daughter says to me every time we pass one, "There goes your favorite car, Mommy!" Hope you get it back soon! Also love the blanket.